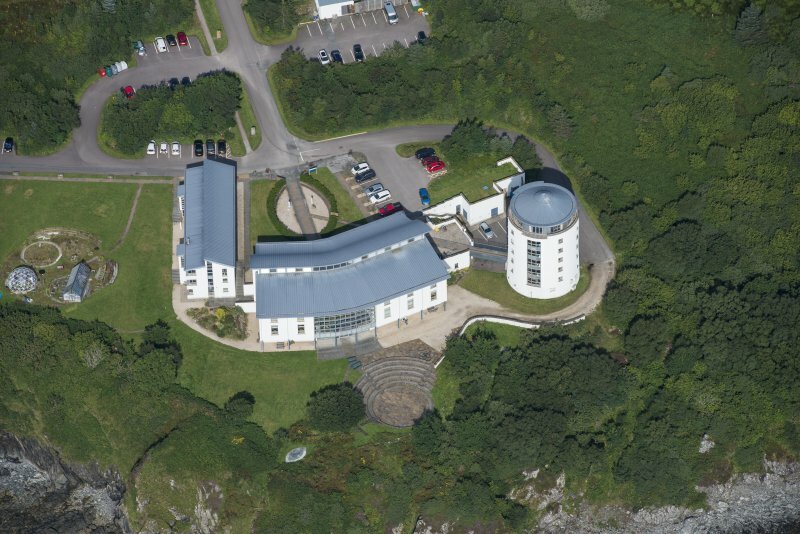 Oblique aerial view centred on the college, taken from the SE. 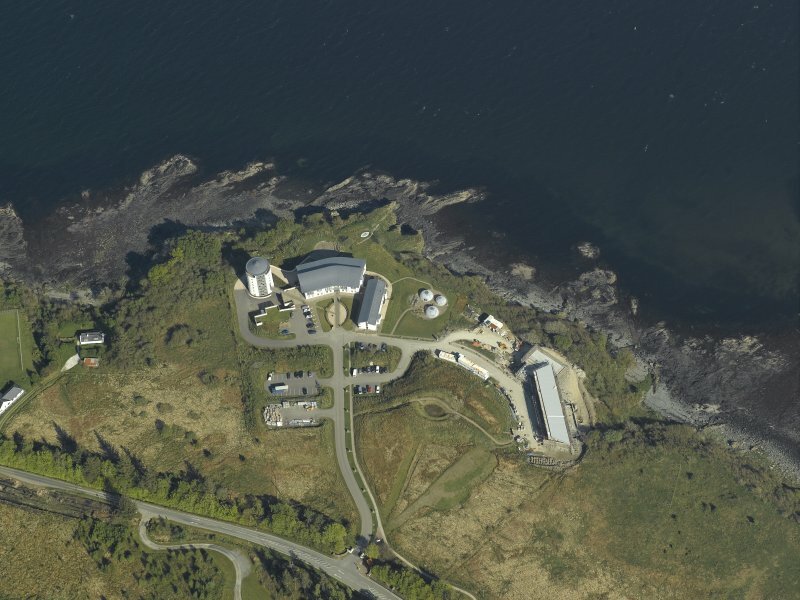 General oblique aerial view of the college, looking NW. 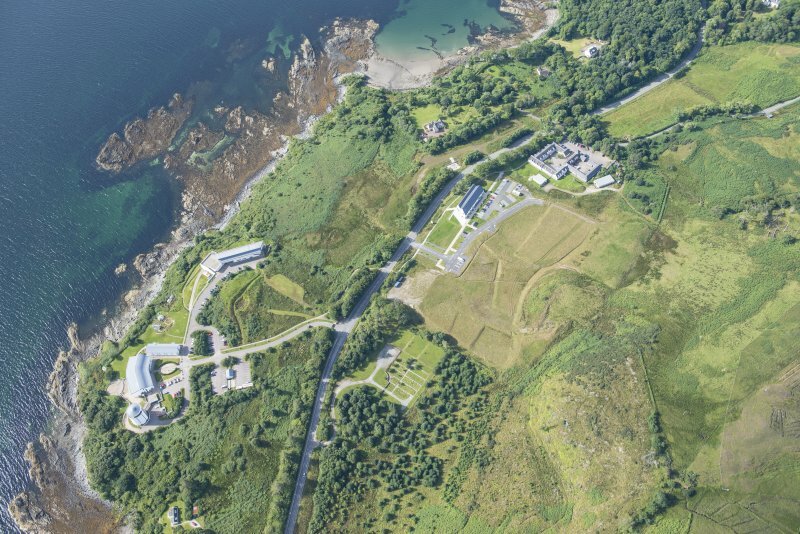 Oblique aerial view centred on the college, taken from the SSW. 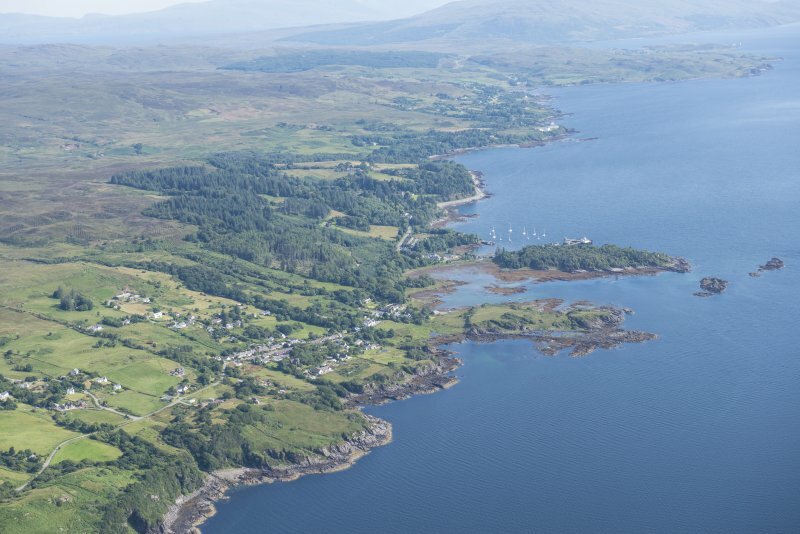 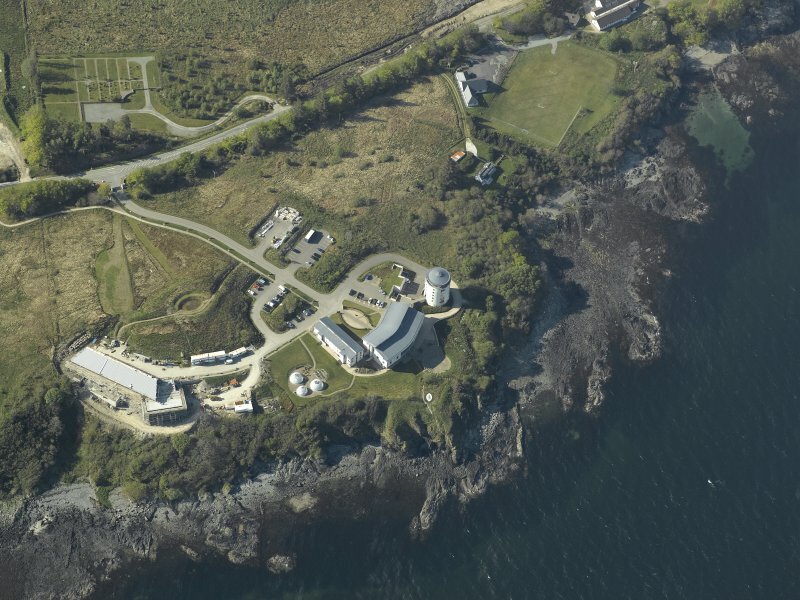 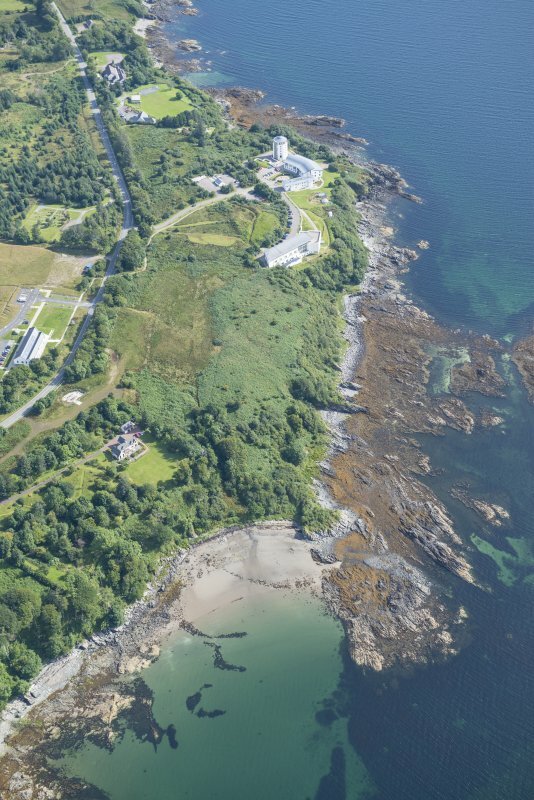 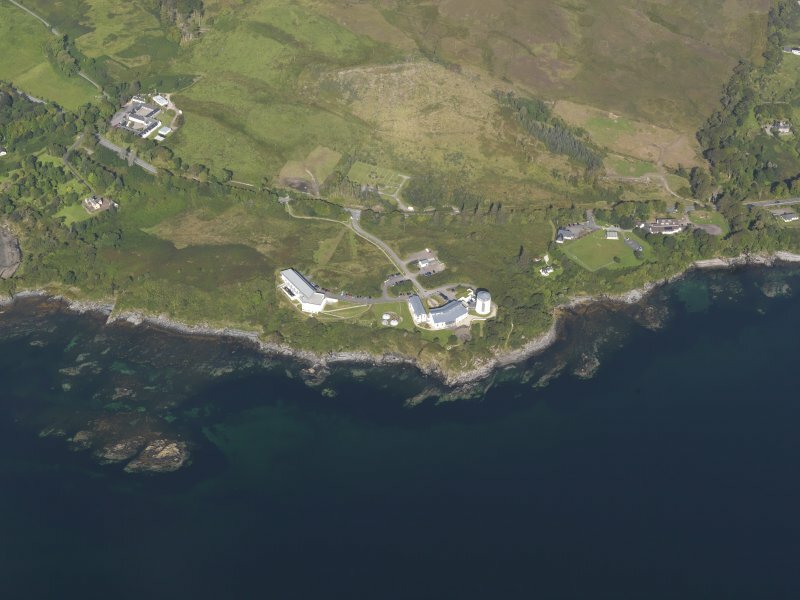 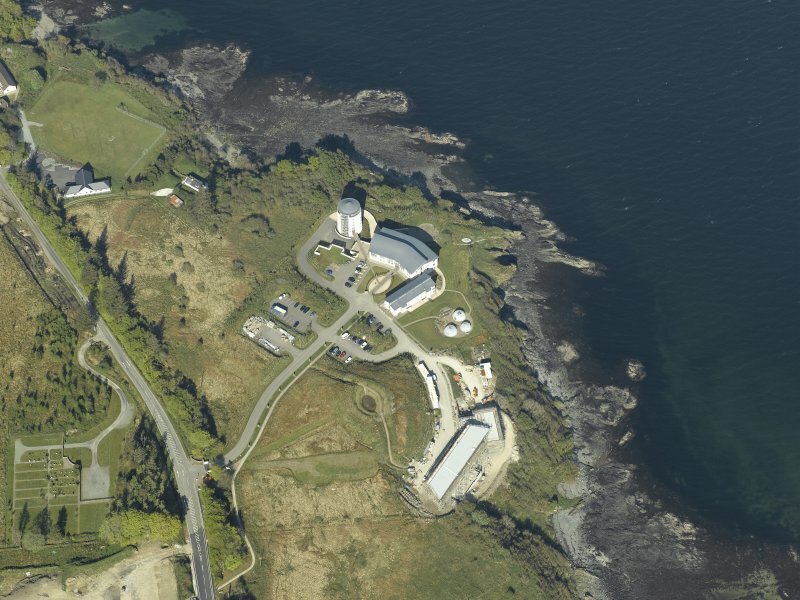 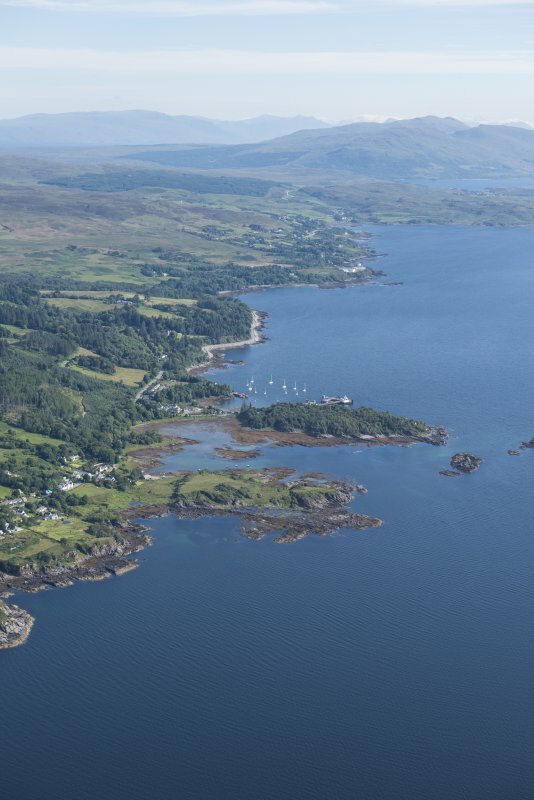 Oblique aerial view centred on the college, taken from the W.
Arainn Chaluim Chille, George Mulvagh of Gillespie Architects, 2000 State of the art campus for Sabhal Mor Ostaig, an outpost of the University of the Highlands & Islands. 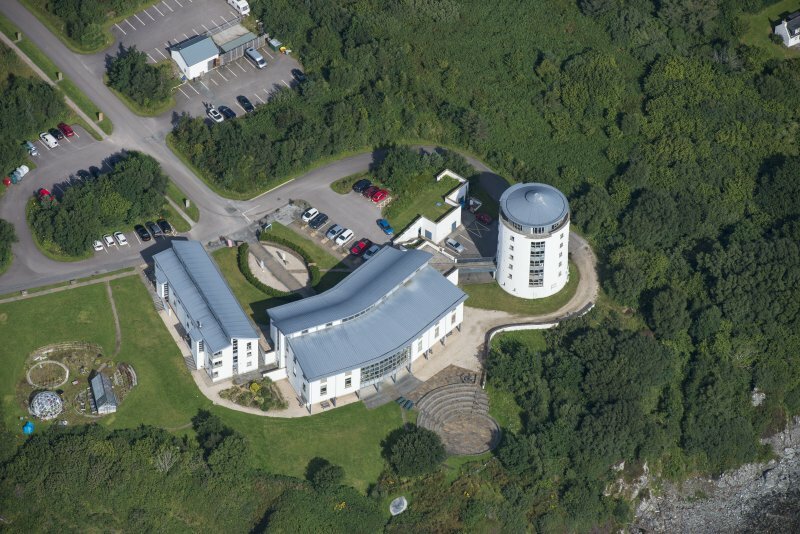 The two horizontal blocks, and broch-like tower with glazed drum and lantern viewing platform, are designed to take advantage of their spectacular setting overlooking the Sound of Sleat.